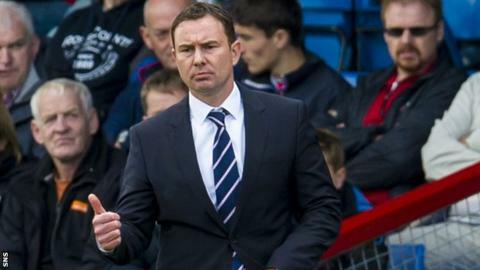 Plymouth Argyle boss Derek Adams says it is "important" that a number of his players have scored goals this season. The Devon club have scored seven times in their four games so far, with five different names on the scoresheet. Without the goals of strikers Reuben Reid and Lewis Alessandra last season, centre-back Peter Hartley was their highest scorer, with just five goals. "We've got a number of players in the goalscoring charts already, and that's important," Adams told BBC Devon. "We're scoring goals, and the goals have come from different sources. "(Gregg) Wylde's scored a couple of goals, Graham Carey's the same, and now we have (Jake) Jervis and Reid on the way as well." The Pilgrims have a fully fit squad for their trip to Northampton Town in League Two on Saturday. And with the transfer window closing at the end of the month, Adams says his business is nearly done. He said: "I've only got one possible loan move to do and that'll be us for the time being. "If it was to happen it would be one move."